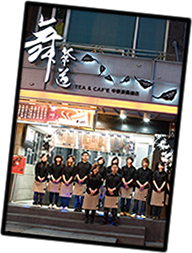 Ever since its inception, Maisadou Tea & Café has been committed to giving back to customers by initiating technical breakthroughs, training employees, refining equipment, exploring new markets, increasing the percentage of self-made products, seeking vertical integration, and ensuring that all products are stable in quality and reasonable in price. In the future, Maisadou will persistently devote itself to the manufacturing and development of products, as well as training programs that equip employees with the required skills, so that they may start each day's work in a pleasant and self-assured manner. In pursuit of sustainable operations, the perfection-minded Maisadou vows to continue its improvement efforts in corporate competencies and also product quality. 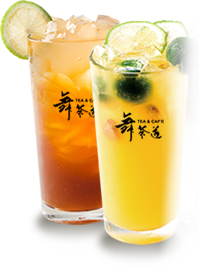 Looking to the future, Maisadou, as a tea beverage chain store, will bolster internal operations with improvements concerning organizational structure, management mechanism and employee competencies. Aiming for the status of an upscale, high-priced and luxury beverage brand, Maisadou eagerly enhances competitiveness by setting up stores across Taiwan, adding a sophisticated touch to the brand image, building the core corporate values, and securing a solid market share. In the hope of eventually blossoming into a sustainable Taiwan-based enterprise with global operations, Maisadou has been seeking business partnerships in market expansion plans. 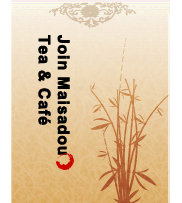 Maisadou Tea & Café has a sound welfare system and a varied profit-sharing bonus mechanism. Comprehensive medical insurance (Labor and Health Insurance, Accident Insurance) is available to every employee. There are also complete internal and external trainings to help employees in their career planning and to nurture management talents for direct-managed stores.